Especially when it comes to drying, a good piece of advise is to develop a firm processdesign before you invest in a large full scale plant. While testing your material in one of our test plants you will save both time and money and at the same time straighten out any potential question mark about the process. Torkapparater has tremendous experience in adapting and designing new processes and we are often asked to take part in new groundbreaking development projects. Taking advantage of our test plants, this implies that your process idea can be swiftly and cost effectively tested in pilot scale. You rent our pilot units, we supply knowledge, staff and results of how your process idea works. The test plants are large enough that the the results can be applied in a full scale plant design. The installation starts with preliminary tests that can later on be adapted until the final results are accomplished. 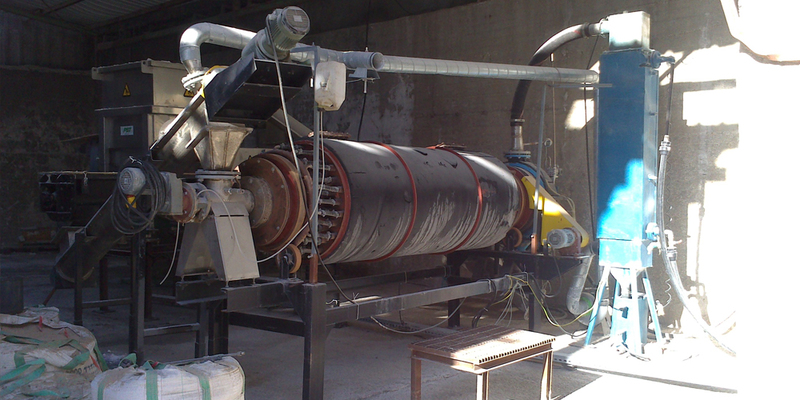 Many clients start with a test run in order to generate experience of the drying process such that a full scale plant can be correctly designed. During the performance of the test, it is possible to investigate how the material behaves at different moisture contents and temperatures in order to apply and modify different and optimal operational strategies. In addition, it is possible to test and select applicable materials handling equipment. Feed rate capacities from approximately 100 kg/h up to 10 tons/h, depending on moisture contents and capacities, which in turn implies that the results are applicable for full scale applications. Ancillary equipment for energy supply, gas cleaning, materials handling and process control. Please contact us with your process challenge or problem at hand. We offer pilot trials in conjunction with your enquiry and development projects.